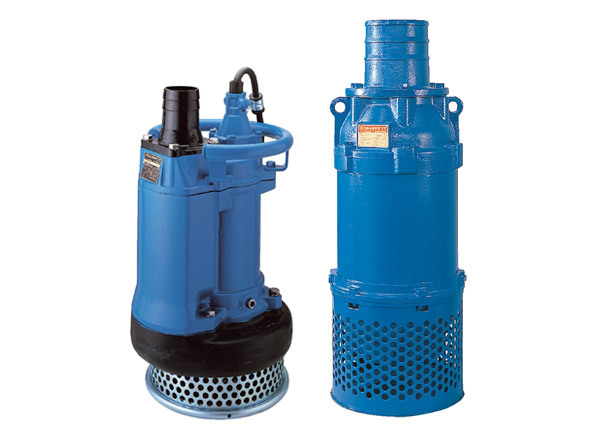 The KRS-series is a slurry-handling type of submersible pump, in cast iron/high chrome iron construction, driven by a 4-pole, 3-phase motor. It is equipped with a high-chromium cast iron agitator that assists smooth suction of the settled matters. The other wear parts such as the impeller and the suction plate are also made of high-chromium cast iron for extra durability. The top discharge, side flow design assures efficient motor cooling even when it operates with its motor exposed to air. 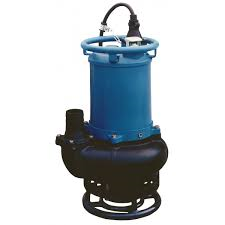 The Tsurumi GPN-series is a submersible high power, heavy-duty slurry pump incorporating an agitator to suspend solids enabling the pump to handle high concentration slurries. Being equipped with high-chromium cast iron wear parts, the pump delivers outstanding durability. The suction plate is adjustable enabling the pump to maintain the original performance. The GPN utilizes a cooling water jacket to allow the pump to operate at low water levels for extended period of time without the fear of overheating. 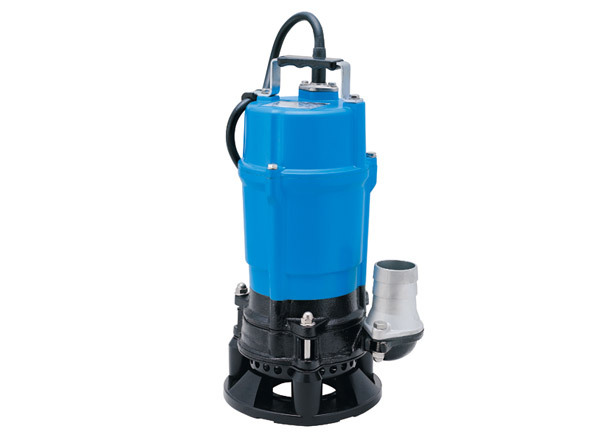 The Tsurumi NKZ-series is a submersible high power, heavy-duty slurry pump incorporating an agitator to suspend solids enabling the pump to handle high concentration slurries. Being equipped with high-chromium cast iron wear parts, the pump delivers outstanding durability. The suction plate is adjustable enabling the pump to maintain the original performance. The NKZ utilizes a cooling water jacket to allow the pump to operate at low water levels for extended period of time without the fear of overheating.